After all that fun of making your stitching holes, now you get the joy of pokin' em out with this gadget! This C.S. 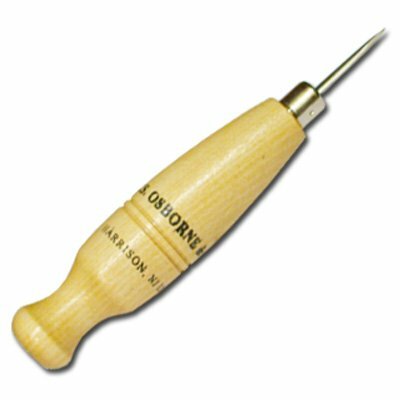 Osborne stitching awl features a hardwood handle and a permanently fixed blade. Set of 2 Nickel Quick Release Panic Snap W/ Square Swivel 1" X 4-1/2 "